Many accidents involving vehicles are the fault of a driver or specific factors dealing with passengers, behavior, other drivers or conditions caused by drivers. In other instances, road issues may cause collision or accident on its own. These issues may be caused by disintegrating roads and bridges, broken cement blocks, traffic cones, debris from broken pieces of road or road construction. Though many states have roads that may cause these accidents periodically, Illinois is the highest rated state with the worst roads in the United States. Because road construction and repair requires funding, often many roads’ repairs take time before they are funded and completed. This funding ensures bridges are solid and passable, roads are smooth and drivable and debris and disintegrating parts of the streets are clear. Fair to poor conditions may lead to accidents with multiple vehicles causing injuries and death. Without the funding to ensure safety, roads may be the hazard instead of drivers. Roads usually have a life expectancy of about 20 years. It is when that time is exceeded that the damage starts to become a problem. With this must time passed, regular maintenance is ineffective. Basic plowing and resurfacing will only become an aesthetic to the major underlying issues. When the damage or age is extensive, a total or complete overhaul is required to update or return the road network to working order. Bridges that are unsound may pose a danger to groups of people. Structurally deficient bridges eventually either fall apart completely or must be repaired entirely to remove the risk of danger to everyone in the vehicles that pass over them. Freeways and highways remain a potential danger to all drivers due to driver behavior and other hazards already present in traffic. When the roads are in disrepair, the problems increase in frequency and scale. These streets may find potholes, uneven lanes, narrow shoulders and crumbling edges. The disrepair may cause an individual to lose control of the vehicle he or she is driving, leading to a collision that causes death or serious injury. Another danger is when repairs begin. Road constructions and reparations tend to lead some drivers to collisions. They may end up in accidents by avoiding construction, swerving away from people in the road and maneuvering in areas that have been incorrectly fixed. The worse the damage to the road, the more is needed to resolve the issue. This may lead to further accidents as more of the road is taken to resolve the situation. slower driver may become a hazard. Construction vehicles may take up the road, drive very slowly or congest traffic. Attention and caution are of the utmost importance in these areas. Safety should be a great concern when surrounded by construction on the road. By being aware of the signs that roadways need improvement, drivers may be able to avoid some accidents. Common signs of disrepair include faded areas of pavement or markings in the ground, potholes and cracks. Uneven lanes or areas of pavement tend to move the vehicle more than when there are even lanes. Guardrails may become damaged over time or when an individual has run into them. These may lead to further accidents. When signs have been knocked over, damaged or covered by nature, this is a sign that routine repairs may not be completed. In some states, it is the government and private businesses that are responsible for designing and building safe roads. For accidents caused by the road, or when the road is a contributing factor to the collision, compensation may be sought from governmental or business representatives who breached their duty to maintain safe roadways. Federal, state and local governments may specify duties of these entities responsible for the roadways. The duties may include providing adequate space on the roadway so that emergency vehicles can pass, displaying construction warning signs and maintaining areas where it is safe for drivers to pass. For issues with the road, liability may lie with those responsible for hazards found. 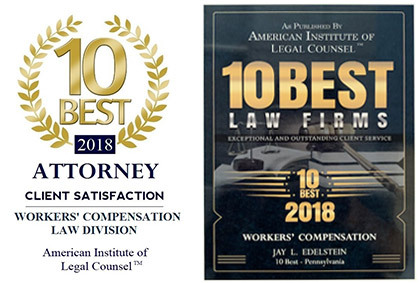 It is important to contact an attorney at Edelstein Law, LLP for all information regarding these issues to obtain compensation for any and all issues related to road hazards leading to collision.